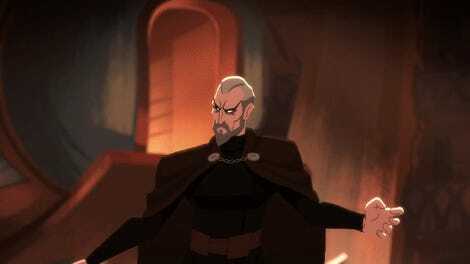 All of the Star Wars Galaxy of Adventures shorts are brilliant. 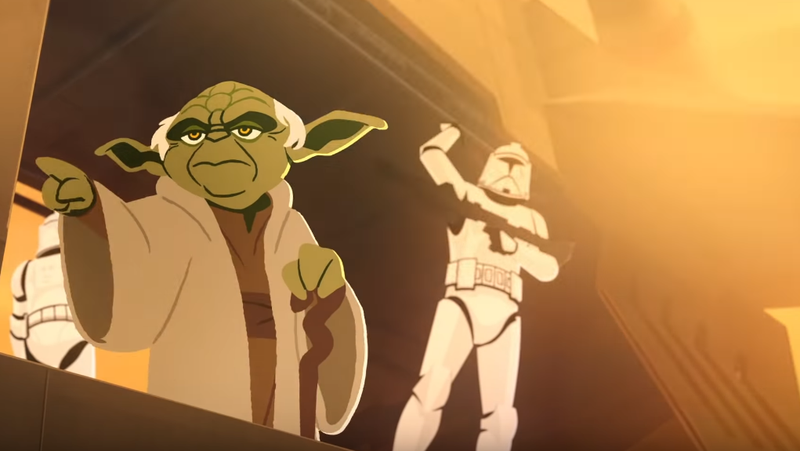 But there’s one moment in this one, starring Yoda and Luke, that I absolutely adore. It occurs after Luke—in that classic Empire Strikes Back dialogue—explains that he’s looking for Yoda. Here, the creators of Galaxy of Adventures insert a pause, which they fill with a series of familiar images. Yoda the leader of the Jedi Council. Yoda the General of the Grand Army of the Republic. 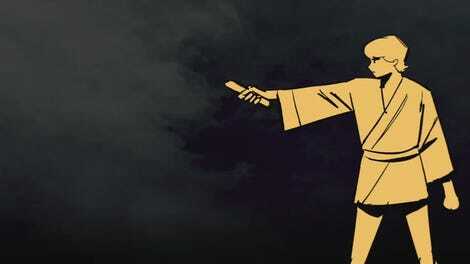 Yoda the defender of the light, facing off against Darth Sidious in a fight he’s doomed to lose. Then, the scene cuts back, and we meet Yoda the old, trickster master, the Yoda who trains Luke Skywalker while also stealing his ration sticks. This moment sings because it sells, in a briefly, eloquent gesture, the full breadth of Yoda’s tragedy. He is a great being, a shaper of history, laid low by hubris and circumstance. 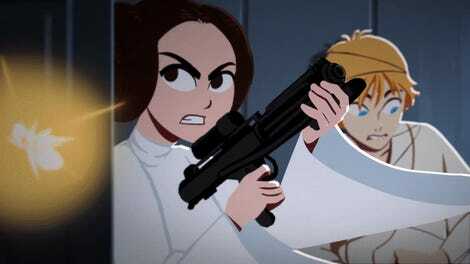 This little minute-long cartoon marketed at children captures that, I think, better than any other Star Wars media has. This is a good a reason as any to revisit material from the original movie: to inflect them with different emotional registers, weaving the various stories of the franchise together to tell more complex, more interconnected, and more compelling stories. It’s a good thing.